If you love the look of the trendy Split Back tops that young girls throw over their workout clothes or wear as casual attire, but you don't feel comfortable baring that much of your back, try this version from Lands' End. 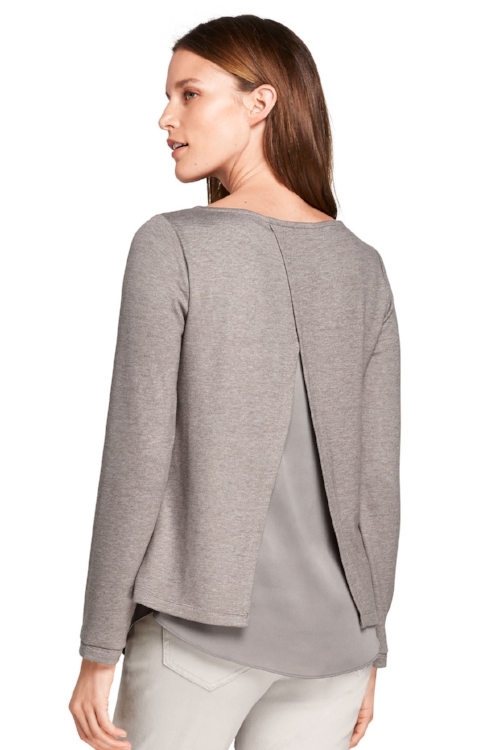 Its new Split Back top has a built-in panel of fabric that's a nod to the look without revealing too much. It costs $44.95 and comes in five colors: Dark Alpaca Heather; Radiant Navy Heather; Black Heather; Ivory Heather; and Rich Red Heather.